The Midwest Society for Behavioral Medicine and Biofeedback (MSBMB) welcomes you! Behavioral medicine deals with how thoughts and behavior impact health and disease. Over the years many scientific studies have proven that what you think and what you do has a profound effect on how you feel. MSBMB is the Midwest Chapter of the Association for Applied Psychophysiology and Biofeedback. The AAPB was formed in 1969, as a non-profit organization, under the name of the Biofeedback Research Society. The Mission was, and continues to be, the advancement, development, and utilization of applied psychophysiology and biofeedback through research, education, and practice. Membership in AAPB and MSBMB is open to professionals interested in research and application of applied psychophysiology and biofeedback and in the scientific and professional advancement of the field. Today, over 2000 members represent the fields of psychology, medicine, nursing, social work, counseling, physical therapy, education and other health care venues from state, regional, and international chapters. Biofeedback has become an accepted form of treatment within the medical and psychological communities. Through the effort of the Applied Psychophysiology and Biofeedback organization, there has been a growing interest in Integrative medicine and it has become the treatment choice for many health care issues. Bio-Medical Instruments carries a wide variety of biofeedback and neurofeedback equipment and supplies. We carry a full line of EEG, qEEG, EMG, temperature, GSR and heart-rate products from major manufacturers. Thought Technology is the world’s leading biofeedback and psychophysiological instrument manufacturer. Our instrumentation not only monitors and records a wide variety of physiological and mechanical signals, but also analyzes and feeds back information in real time, through a variety of auditory and visual means. 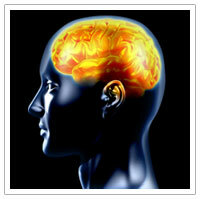 INDY Neurofeedback is committed to helping your mind and body operate optimally. Our clinic offers QEEG brain mapping, heart rate variability biofeedback training, audio visual entrainment and neurofeedback (EEG biofeedback).